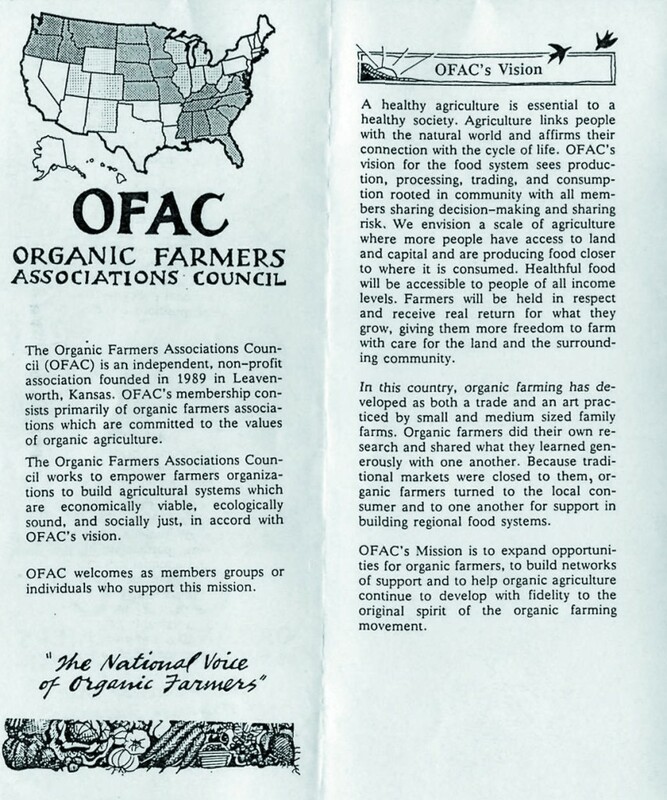 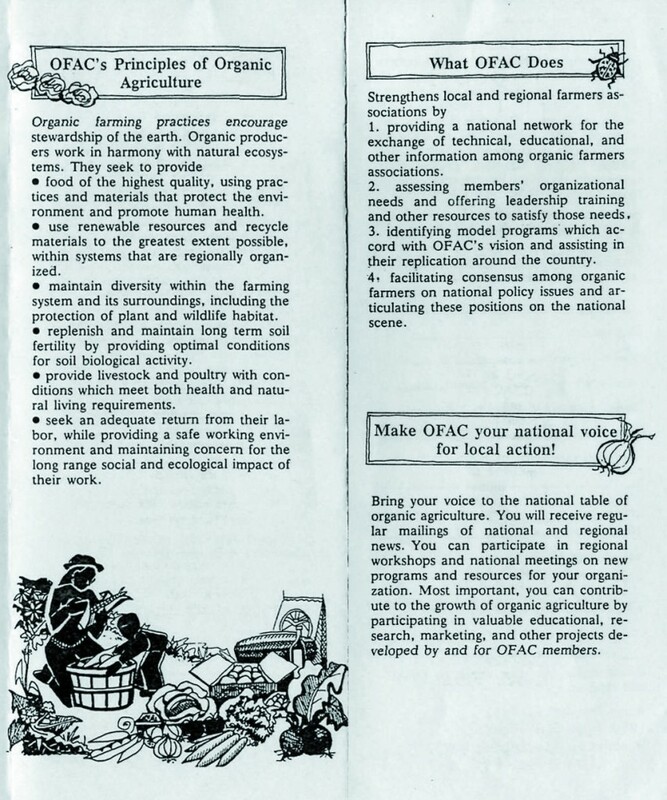 OFAC was a national organization of small certification and organic farmer organizations founded in 1989 at an organizing meeting in Leavenworth, Kansas. The collection includes work providing legislative guidance to this organization. The official records of OFAC were rescued from a barn in New York State with the understanding that Roger would make every effort to have them included in my donated collection.